Do Users Still Need Voice Service? When I think about what people do with their smartphones on a regular basis, I wonder why we still call them "phones" at all. Play games! Stream music, movies, and live video broadcasts! Hold videoconferences! Call someone? Yeah, I guess you could do that. Mobile broadband connections have become fast enough and widespread enough that you should be able to cut down the voice-service component of your cellular plan, if not eliminate it completely--which would save you anywhere from $40 to $70 each month. However, mobile Internet connections aren't nearly as consistent as your average residental DSL or cable modem connection is, because they rely on radio waves to send and receive data. As a result, your mobile Internet connection's bandwidth (the amount of data you can transmit per second) and latency (the time a packet of data takes to travel from your handset across the Internet to the intended recipient, such as Netflix's or Skype's servers) fluctuate wildly. Such connection problems are fairly simple to deal with when you're streaming music or video, but less easy to fix for a voice conversation between two people. After all, you won't notice if your smartphone needs a few extra seconds in the beginning to buffer the entire fifth season of Law and Order: Special Victims Unit, but you certainly will notice if your phone conversation suffers from a few seconds of lag. Considering that the T-Mobile/Walmart service is just $30 a month, though, such lag might be an inconvenience that some budget-minded folks are willing to tolerate if it isn't too bad. I used the T-Mobile Exhibit II 4G, which is the current flagship phone offered for this particular plan. This unremarkable Android 2.3 Gingerbread handset feels like a slightly smaller, lighter version of the first Samsung Galaxy S line of phones, which sell for $200 with no contract. Not a bad deal for a budget-conscious buyer. The T-Mobile/Walmart prepaid plan provides 5GB of data at 4G speeds (after which it throttles down to the 3G network), plus 100 voice minutes (and a rate of 10 cents per minute after that). Plenty of VoIP apps are available in the Android Market, but I had to do my homework to find the right one for me. At first I thought I could use the T-Mobile Wi-Fi Calling app, which comes preinstalled on the phone, but I discovered that calls made through that app still eat up cellular minutes. Next I turned to Google Voice, which I already use for making calls from my PC for free. All I had to do was download and install the app from the Android Market, and it would integrate seamlessly into the Dialer app. Unfortunately, Google Voice calls consume mobile minutes, too, so I wasn't able to use it for this experiment. After dabbling with Fring and looking into setting up Sipdroid, I finally settled on using Skype for my VoIP needs, since I already had an account and I use it fairly regularly on my PC and iPad. 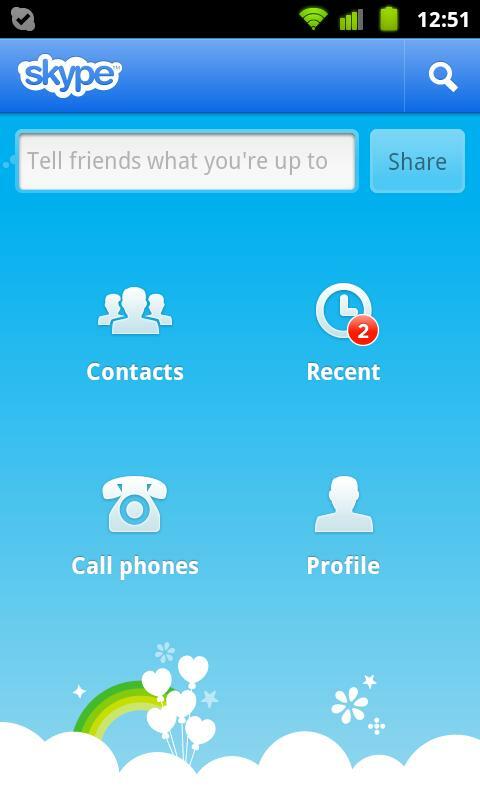 Skype's rates depend on how much you plan to use your phone, as well as on where you're located. Since I'm in the United States, and since I don't make a lot of lengthy calls, I opted to stick with the standard rate, which costs 2.3 cents per minute--about one-quarter of what T-Mobile's plan would charge me for voice. Skype offers various unlimited-usage monthly plans as well, ranging from $3 a month for unlimited calls within the U.S. and Canada to $14 a month for unlimited calls worldwide. And if you want to receive calls via Skype, you'll need to shell out an extra $6 a month for an Online Number. It isn't free, but $9 for unlimited calls out of a static number is still pretty cheap. Overall, the arrangement worked pretty well. Oddly enough, my 4G reception was the worst in my office and my apartment, but since Wi-Fi covers both areas just fine, I didn't have to worry about missing a call in the two places I spend 90 percent of my time. I live in the San Francisco Bay Area, which T-Mobile's 4G network seems to cover reasonably well, considering that I didn't have much of a problem placing or receiving calls via Skype. The call quality was great. Generally it didn't sound as good as Skype sounds on a PC with a solid broadband connection, but it still sounded much better than a normal cellular voice call. I did have a few issues with echoing, dropped calls, and occasional spurts of lag--all of which were rather frustrating--and I'd routinely drop calls going through 3G/4G dead spots (passing through Treasure Island on the Bay Bridge, for example) that the T-Mobile voice network handles capably. Setup wasn't particularly difficult, either. The Dialer app in Android can default to Skype for handling calls, so once you've sent everyone your new number and configured Skype, you won't really notice anything different in how you use your phone on a daily basis. The T-Mobile/Walmart plan's 5GB 4G-data cap turned out to be more than enough for me--after a week's worth of calling through Skype, streaming videos via Netflix during my commute, and streaming music over Pandora and Slacker instead of using my MP3 player, I used up about 600MB --a little over one-tenth of my 4G-data allocation. Smartphone power users, take note: Since the Samsung Exhibit II 4G is an HSPA+ 14.4 smartphone, it can't take advantage of the full 4G speeds of T-Mobile's HSPA+ 42 network, which some of the carrier's higher-end phones can use. On my speed tests, it reached 4.5 megabits per second downstream and 1.4 mbps upstream, with 52ms latency, on the high end; at the low end, its results were a relatively weak 863 kilobits per second downstream and 233 kbps upstream, with 586ms latency. Those aren't phenomenal numbers for a 4G network, but they aren't awful, either. Once I went back to my normal phone--a boring candy-bar Nokia also on T-Mobile prepaid service--I realized that the traditional cellular voice network isn't all roses, either. I encounter dropped calls, echoing, and other similar issues with my normal voice service, too. Ultimately, your choice depends on how much you're willing to pay for an always-on, comparatively reliable dedicated voice plan. Personally, since I spend most of my time at home or in the office, both of which have Wi-Fi coverage, I wouldn't have to worry about missing or dropping calls there. When I'm out and about, the 4G network works well enough for me in daily use. And if I'm really worried about poor network reception, I can fall back on the 100 minutes of voice service included with the T-Mobile plan. So, for me, paying $39 per month for the T-Mobile/Walmart plan plus the Skype service is an absolute steal, considering that I'd be paying about $80 a month (before taxes and fees) for a comparable plan from T-Mobile itself, and even more than that for service from AT&T or Verizon. Over a two-year period, my savings would total about $960. I think that's worth the occasional inconvenience of a dropped call. However, cutting back voice service is clearly not for everyone. If, when you're on the go, you regularly rely on your phone for important calls--from your colleagues, your family, and such--that you simply cannot afford to drop, this probably isn't the plan for you. I'll probably switch over to this T-Mobile plan (or give Republic Wireless a shot), but I'm a little worried about how it will work when I'm covering a trade show such as CES, where mobile broadband connections are unreliable at best--and nonexistent at worst. Going VoIP-only isn't a perfect alternative yet, but for the right kind of smartphone user, it's a viable way to slash your cellular bill in exchange for the occasional minor inconvenience. The writing is on the wall: Smart tech consumers won't put up with pricey unlimited-everything plans for much longer.